In the Middle East, the link between political machinations, espionage and assassination is either clear as day, or clear as mud. As for the yet unsolved case of the February 2005 murder of Lebanese Prime Minister Rafiq Hariri, mud might be giving way to daylight. A significant breakthrough in the ongoing investigation occurred in late June and culminated in the arrest of Charbel Qazzi, head of transmission and broadcasting at Alfa, one of Lebanon’s two state-owned mobile service providers. Israel has refused to comment on the arrests. Nevertheless, their apparent ability to have penetrated Lebanon’s military and telecommunication sectors has rattled the country and urgently raised security concerns. Outside the obvious deleterious ramifications of high-ranking Lebanese military officers working for Israel, the very legitimacy of the Special Tribunal for Lebanon (STL) is now in question. The STL is the U.N.-sanctioned body tasked with prosecuting those responsible for the assassination of the late prime minister. On Feb. 14, 2005, 1,000 kg of explosives detonated near Hariri’s passing motorcade, killing him and 21 others. It is believed the STL will issue indictments in the matter as early as September—relying heavily on phone recordings and mobile transmissions to do so. “Some are counting in their analysis of the (STL) indictment on witnesses, some of whom turned out to be fake, and on the telecommunications networks which were infiltrated by spies who can change and manipulate data. Recognizing the value their secure lines of communication had in combating the July 2006 Israeli invasion and suspecting that state-owned telecoms might be compromised, Hezbollah resisted Siniora’s plans to have its network dismantled. Their men swept through West Beirut and put a quick end to the government’s plan. Two years later, their suspicions appear to have been vindicated. Giving credence to Nasrallah and Aoun’s assertions, Commander in Chief of the Israel Defense Forces Gabi Ashkenazi, predicted “with lots of wishes” that the situation in Lebanon would deteriorate in September after the STL indicts Hezbollah for Hariri’s assassination. Ashkenazi’s gleeful, prescient testimony to the Knesset’s Foreign Affairs Committee betrays what Israel hopes the fallout from the STL’s report will be: fomentation of civil strife and discord among Lebanon’s sectarian groups, generally divided into pro- and anti-Syria factions. Ashkenazi anticipates this to happen, of course, because he knows Israel’s unfettered access to critical phone records will have framed Hezbollah for the crime. Israel’s agents and operatives in Lebanon and its infiltration of a telecom network have been exposed. At the very least, the STL must recognize that evidence of alleged Hezbollah involvement in Hariri’s death (a group that historically enjoyed good ties with the late premier) is wholly tainted and likely doctored. The arrest of Qazzi and al-Raba’a in the breakup of Israeli spy rings should prompt the STL to shift its focus to the only regional player that has benefited from Hariri’s murder; one that will continue to do so if and when their designs to implicate Hezbollah are realized. It is time to look at Tel Aviv. On July 11, 2010, members of Adalah-NY, the New York Campaign for the Boycott of Israel, and other members of the New York community participated in a tour of companies profiting from and financially enabling the Israeli occupation and repression of the West Bank and Gaza Strip. The stores visited include Aroma, Ricky’s, Max Brenner, and Best Buy (Motorola). These stores are targetted as part of the Boycott, Divestment and Sanctions (BDS) campaign against Israel, a non-violent economic and political tool intended to pressure Israel into ending its occupation of the West Bank and Gaza Strip, respecting and promoting the rights of Palestinian refugees, and ensuring equal treatment for its own Palestinian Israeli citizens. Aroma Cafe is being boycotted because its owner has opened locations in the illegal Israeli settlement Maale Adumim. Maale Adumim is built on lands confiscated from Palestinians, and is part of the expansive settler network that poses an obstacle to a just peace. Max Brenner is an Israeli chocolate company owned by the Strauss Group, which both publicly and substantively supports the Israeli Army, specifically the notorious Golani Brigade. The Israeli military has been a frequent violator of Palestinian human rights and has been deeply implicated in possible war crimes and crimes against humanity during Operation Cast Lead in Gaza. The Golani Brigade, which the Strauss Group supports with meals and care packages, is implicated in several flagrant abuses of Palestinian civilians. For example, in 2008, members of the Golani Brigade filmed themselves forcing a captive, blindfolded Palestinian to sing humiliating songs, some of a sexual nature or about the brigade itself. Lastly, Motorola supplies the Israeli military with parts for bombs, communications infrastructure, and the surveillance system used to monitor Palestinian movement in the Occupied Palestinian Territories. It also provides radar and thermal imaging tools that illegal settlements use to observe Palestinians in the West Bank. Taliban fighters pose during a patrol in Ghazni province, Afghanistan, earlier this year. The White House denounced a massive leak of secret military files Sunday that allegedly describe how Pakistan's spy service aids the Afghan insurgency, but said the information was no surprise. AFP – The White House denounced a massive leak of secret military files that allegedly describe how Pakistan’s spy service aids the Afghan insurgency, but said the information was no surprise. 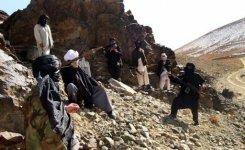 The White House issued its condemnation shortly before the leaks were posted online, saying the information could endanger US lives but also pointing to the administration’s long-held doubts about links between Pakistan intelligence agents and Afghan insurgents. “The United States strongly condemns the disclosure of classified information by individuals and organizations which could put the lives of Americans and our partners at risk, and threaten our national security,” said White House National Security Advisor James Jones.